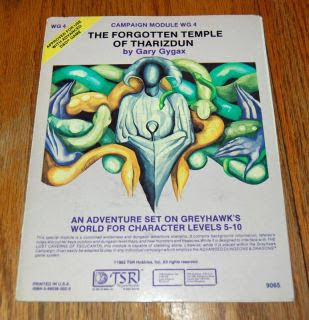 "WG4 The Forgotten Temple of Tharizdun is an insult to the very legacy of the heroes of Greyhawk. A reminder that there are far more devastating forces in the planes then even the gods know about. In a place that is between places is the prison for one of the most dangerous entities in multiverse. "Tharizdun is the god of Eternal Darkness, Decay, Entropy, & is the mad god trapped in the center of its eternal prison. The sacrifices & horrors that await those PC's stupid enough to get involved in the affairs of this god are legendary even in Greyhawk. Tharizdun is trapped in a lower vibration planar prison outside of normal space time & that means that it is a mute observer to all of time & space. Now yesterday I spoke about Lost Caverns of Tsojcanth & how the entrance to that dungeon connects throughout the multiverse. As a nexus of probability this connection to a wide variety of campaign settings makes Tharizdun's influence all that much more dangerous. The cult of Elemental Evil can & does cross dimensions & prime material planes to spread its influence; Four apocalyptic cults of Elemental Evil are building secret sanctuaries and outposts throughout the North, bringing terror and destruction to the Forgotten Realms. Each cult is devoted to one of the Princes of Elemental Evil (godlike entities embodying air, earth, fire, and water) and is led by a nihilistic prophet, corrupted by power. The cruel elf princess Aerisi Kalinoth speaks for the air Cult of the Howling Hatred, while Marlos Urnrayle, a fierce male medusa, leads the Cult of the Black Earth. The Cult of the Eternal Flame scars its followers at the behest of the beautiful and deadly tiefling Vanifer, and the mutilated sailor Gar Shatterkeel plots to drown the world with his Cult of the Crushing Wave. The cults use devastation orbs, forged of raw elemental power, to ravage Faerûn with horrifying earthquakes, typhoons, tornados, and other disasters. Independently, the cults are terrible adversaries, but now they have secretly begun transforming a long-lost dungeon into a huge subterranean temple dedicated to an alien entity known as the Elder Elemental Eye. To prevent this union of the Elemental Evils into one catastrophic force, heroes must expose the prophets' true agenda. The cults' agents are everywhere and their power is immense. When you don’t know whom to trust, knowledge is your only weapon. Unearth the Deception." Essentially these cults can pop up in just about any campaign setting as they use the archmage Iggwilv's assets & holdings to their advantage. In Clark Ashton Smith's Averoigne the entrance to the dungeons of the witch queen is well known in legend but only appears on certain Pagan holiday nights. This is especially true of the Pagan precursor holiday to Halloween in France. 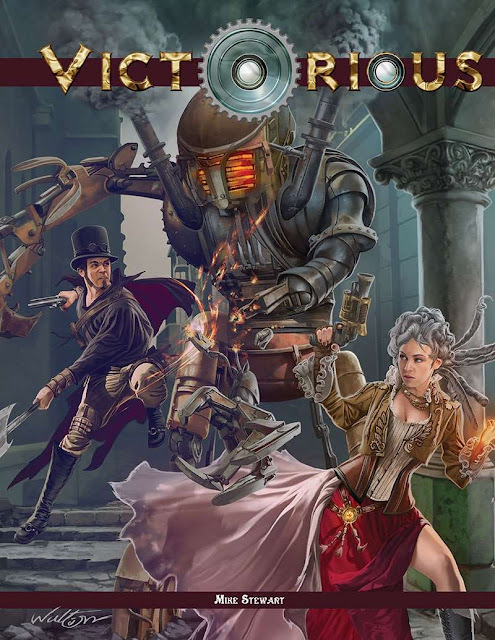 The massive dungeon complex's hold on the planes isn't the only issue & many heroes have found out that its corruption spreads deeply into human history & its alternate worlds. 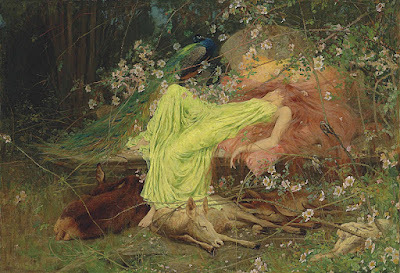 Because Fairyland is a roiling ocean of magical & chaotic landscapes, kingdoms, & Hells as well as minor Heavens. The influence of Tharizdun can be felt in the darkest pits of Fairyland where time runs in strange ways. PC's could fall into worlds were time runs backwards & become trapped in a massively alien place. I've talked about how Tharizdun communicated with the evil archomentals, Imix, Ogremoch, Yan-C-Bin, and Olhydra, the Princes of Elemental Evil, convincing them that they were his creations, thereby gaining their allegiance" This gives the dungeon master yet another link into the monster kin of the Fiend Folio. But what haven't spoken about is how the mad god gained a foot hold over the dark races of the Fey. 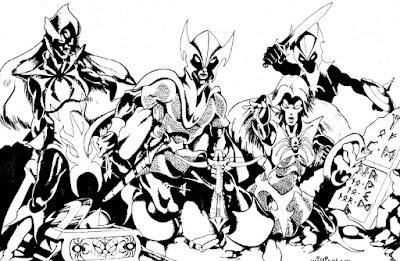 This includes other almost human races such as the Hyperboreans from Clark Ashton Smith's mythos & Astonishing Swordsmen & Sorcerers of Hyperborea rpg fame. The big push begins right around the Hundred Year War when all of the plagues, famine, & warfare made mankind easy pickings at the edges of the world. Next opportunity came during the Victorian era & so forth. 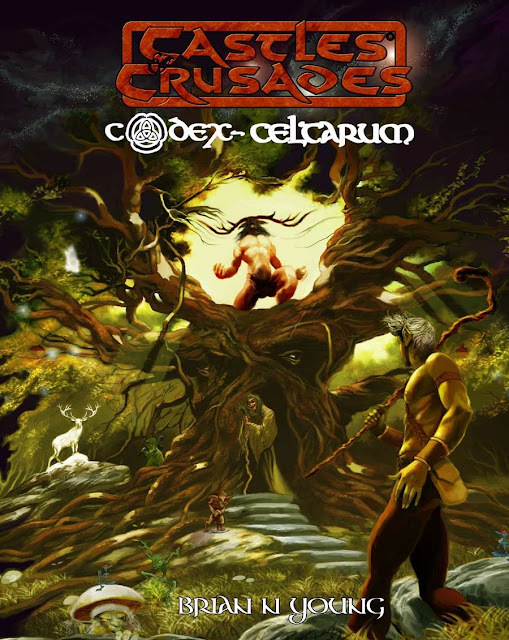 This is one of the era's where I pull out The Codex Celtarum by Brian Young & Troll Lord Games. I've said that this isn't the only world that the Temple's appearance is going to raise alarm bells. The dungeon complex is a probability field & acts as a sort of planar heat sink for the forces of Chaos. This means that mean streets of London might be subject to the temple's influence or the sweeping streets of Egypt you could see massive influxes of cults & secret societies of Tharizdun. 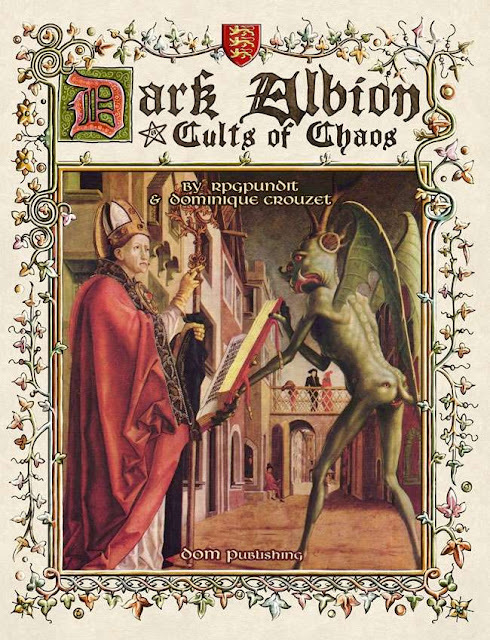 When these types of cults & societies need to be generated I turn to one of my all time favorite OSR products Dark Albion's Cults of Chaos. This book is perfect for creating a more subtle & yet just as dangerous a cult for Tharizdun. The fact is that any entrance to the dungeons & temples of Tharizdun or the archmage Iggwilv is going to bring down the hammer of the Inquisition on Albion. I've mentioned the fact that these are not super villains out of a Marvel comic book but unnatural disasters that a party of adventurers can only minimize the impact of. The fact is that even in the Twenties & Thirties Pulp era there is only so much that heroes can do. The best thing is to hunt down the cults & societies behind bringing the these diabolical influences into a campaign world. But can characters even hope to?